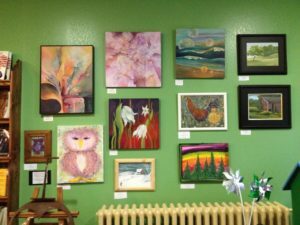 If you are in the Iron Mountain area, check out Borderland Arts Mini Galleries in 2 locations. 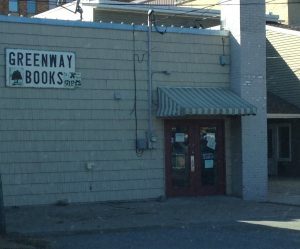 Greenway Books – 527 South Stephenson, offers a large selection of used fiction and non-fiction books. There is ample parking available behind the store and an entrance from the parking lot. And while you’re looking for your next exciting read, check out the work from local artists (including Borderland Arts members) found throughout the store on both levels. 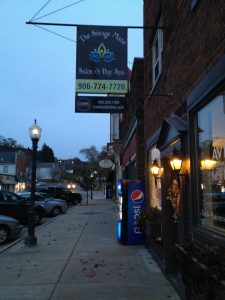 The Savage Mane – 209 East Hughitt St, is a full-service salon and day spa offering hair design, manicures, pedicures, facials and massages. There is ample parking available behind the store and an entrance from the parking lot. And consider investing in something beautiful for your home as you’re making yourself beautiful. 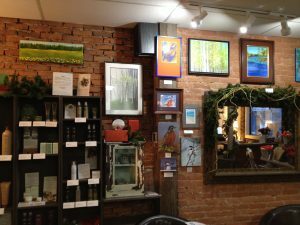 Artwork by Borderlands Arts members is displayed all around this cozy space. 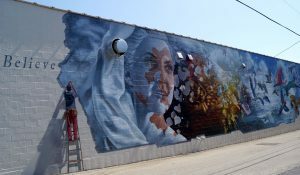 Also in the same area are Murals by Mia Tavanotti and local artists. Jeff is the local POWP representative and has been coordinating all of the preliminary steps between our community, the building owners and the POWP organization. Voting is all but over, but there is still plenty of work to be done. 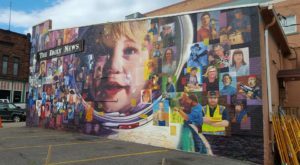 Expect to see two brand new murals and possibly two splash of color walls popping up this summer! The Murals of 2018 are now complete. 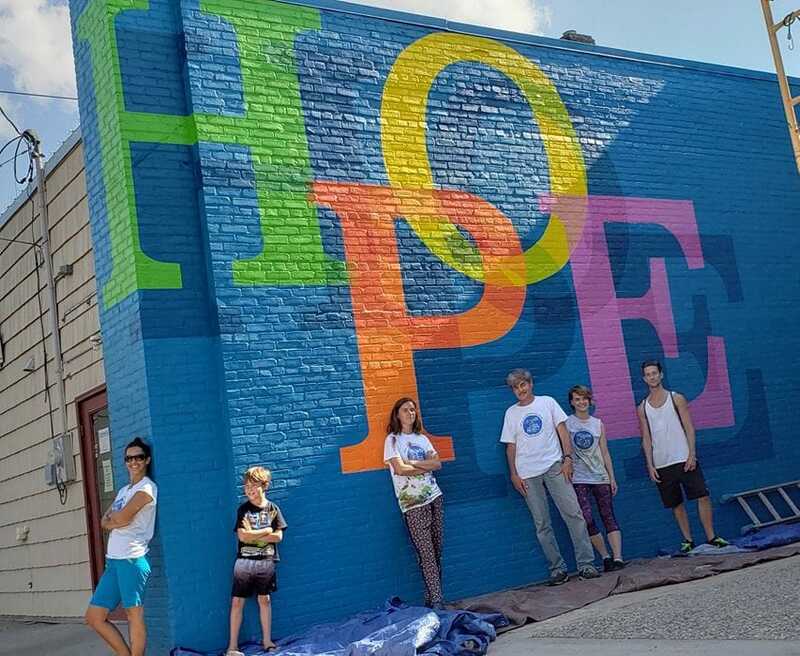 INSPIRE Mural – 216 E. Hughitt St.